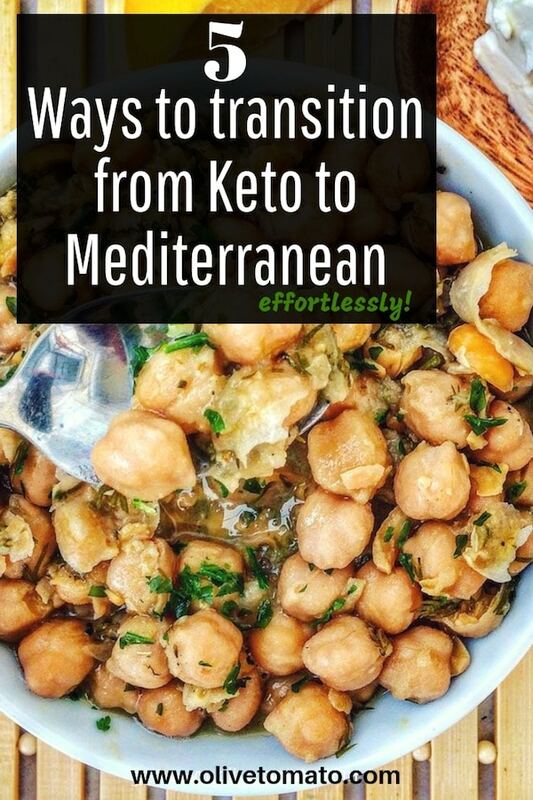 I have had several readers contact me about switching from a Keto diet to the Mediterranean diet. Let me start by saying that any diet for weight loss will have results if you follow it. Studies have shown that optimizing adherence is the most important factor for weight loss success. Having said that, when choosing a diet, an eating plan, a way of life- you really need to think about how realistic it is. Can you eat this way forever and be content? If the answer is no, then most likely that diet will be a failure. 1. Easier to follow. The Mediterranean diet does not eliminate any food group. 2. Healthier and Evidence Based. I will not go into all the details here, but over 6000 studies support the Mediterranean Diet, the Keto Diet on the other hand has much less evidence. Actually, there is no comparison, the Mediterranean Diet has by far the most evidence than any other diet. 3. Long-term results. For the most part we know that a low carbohydrate diet may accelerate weight loss IN THE SHORT TERM, long term though there is no difference with a Mediterranean diet. The real/authentic Mediterranean diet is not a high carbohydrate diet. It is not about pasta and bread but about a lot of vegetables and a lot of olive oil. 4. It’s a Real Diet. The Mediterranean diet is a real way of eating that appeared in certain areas of the world, not a man-made diet. 5. What about diabetes? Repeatedly, overviews and meta-analysis of studies show that the Mediterranean diet not only can prevent the appearance of diabetes, but for those who have it, the diet can provide a good control of blood sugar. It is important to note that some of this protection can be attributed to the polyphenols (compounds with antioxidant activity found in plants) present in the diet. Before we start I need to clarify one issue or rather a misconception about the Mediterranean Diet that may be important to Keto followers. Contrary to what you may have heard, the real/authentic Mediterranean diet is not a high carbohydrate diet. It is not about pasta and bread, but about a lot of vegetables and a lot of olive oil. A typical menu on the Greek Diet which is considered the prototype of the Mediterranean diet, comes to about 40% fat, 40% carbohydrates and 20% protein. These are the findings from an analysis of macro- and micronutrients in a traditional Greek menu gathered by top Mediterranean Diet researcher Dr. Antonia Trichopoulou. The Greek diet is extremely rich in plant foods with small amounts of meat and the fat mainly comes from the generous use of extra virgin olive oil, resulting in moderate carbohydrate, moderate fat (not low fat) diet making it highly palatable. 2. Introduce Carbohydrates with Beans. Since you will be introducing carbohydrates in your diet again, the best way is to start eating beans. Bean or legumes combine, carbohydrates, protein, fiber and antioxidants and provide good blood sugar control. Start out with this lentil stew and these one pot black-eyed beans as they are better tolerated. 4. Reduce Meat Gradually. We know from the research that processed meats specifically, and red meat are associated with reduced longevity. In the Mediterranean diet red meat is consumed in small amounts about once a week. Try by reducing meat gradually: instead of 5-6 ounces reduce to 2 ounces. For more tips checkout this post for eating less meat in 5 steps. 5. Have Vegetable Based Meals. The Mediterranean diet has hundreds of recipes that consist of vegetables. These vegetable main course recipes are filling, healthy and often consist of mostly vegetables. 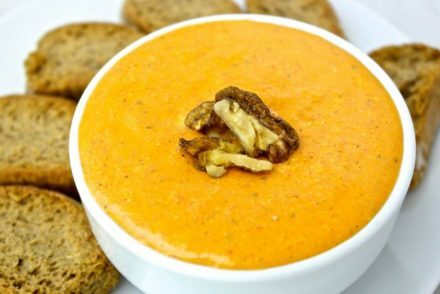 They may be accompanied with a bit of cheese and if you wish a small piece of whole grain bread or barley rusks. It can be scary to change your diet, especially if you feel it may cause you to gain weight. Take it slowly and adjust as needed. The most important part of this switch is not so much increasing your carbs, but reducing meat intake and saturated fats. Thank you Elena. I am indeed switching from the Keto to the Mediterranean diet for the very reasons you suggest. I especially found that I lacked enough fiber in my Keto diet, and that made it harder to follow Keto. The lack of fiber led to constipation, so then I found it too hard to keep eating that way. All the weight I had lost came piling back on. Now, I’m just trying to be sensible, and upping the amount of veggies that we eat, and reducing the amount of meat. I have been loving your website and your recipes. Thanks for sharing Karen and happy you are enjoying the site! Yes fiber is so important for so many reasons, it is a necessary part of any balanced diet. Love, love all your wonderful information Elena! I have made many of your recipes and my entire family enjoys the Mediterranean diet. 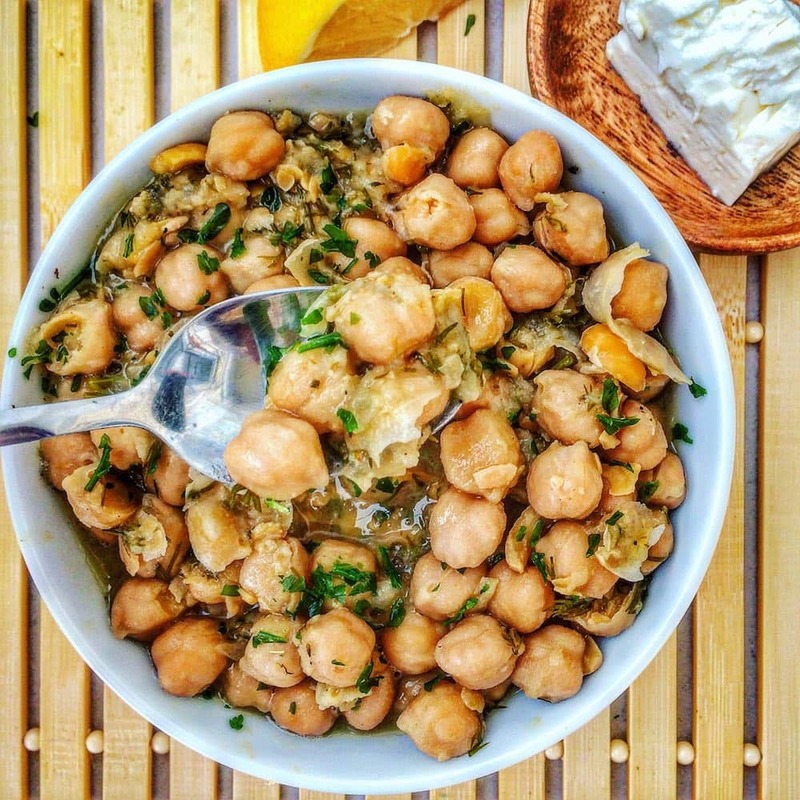 I am wondering what the dish is pictured above with the chickpeas? I would like to try that one next! Thank you so much for all your information and support of our well-being goals! 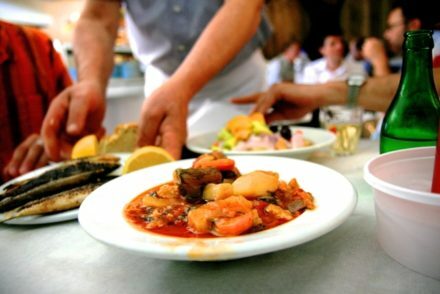 I have seen many Greek Mediterranean recipes for fish and seafood like calamari, octopus, shrimp, mussels, etc. but I’ve never seen a Greek recipe for clams. I am curious, do Greeks eat clams and if so do you have a recipe? I am trying to eat more seafood and less meat. Thank you for all your information! Hi Helen, Most often the small clams are served here steamed or cooked with pasta, but generally they are usually served in taverns rather than at home I do not have a clam recipe currently. I’ve been following you for sometime…I love the recipes you share and your knowledge of nutrition. Please please please, consider coming up with an APP similar to MyPlate by Livestrong. I use it regularly tracking my food…I love it, except the macro nutrients are not the same ratio as the Mediterranean diet. The app helps keep me accountable and tracks my progress, it’s similar to the WW app. Wouldn’t it be great to have a tracking app for the Mediterranean diet? Part of the beauty of the Mediterranean diet is that there is no need for calorie counting or nutritional analysis. If you just focus on eating a ton of vegetables and legumes seasoned liberally with olive oil, herbs, and garlic you will get all the nutrients you need. Avoid meat and sugar. Use feta cheese and yogurt as condiments. Drink red wine within the recommended amounts. Easy and delicious. Generally yes, if you eat this way your diet will be balanced. And I feel it is important to move away from strict calorie and macronutrient counting if we want to improve our relationship with food. On the other hand, one will have to be cognizant of the calories they are consuming in general but not necessarily on detail. Thank you for the suggestion Zaferia! When a person is obese, calorie counting matters. Calories in calories out…but not all calories are equal. 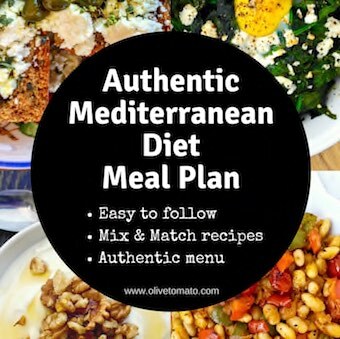 I love love love the Mediterranean diet…I was raised on it! But living in the States, and straying away from my roots…well not so good. Mediterranean diet consists of a different ratio of macro nutrients than most. An app would certainly help people like myself who can be successful with weight loss when counting. I’d love to plug in my recipes, and calculate can if I afford 1/2 c of Fakes today or 1 cup? Sprinkled with 1 oz of “real” feta or 2 oz….the app is a useful tool to help with planned out decisions. When a person is obese, calorie counting matters. Calories in calories out…but not all calories are equal. I love love love the Mediterranean diet…I was raised on it! But living in the States, and straying away from my roots…well not so good. Mediterranean diet consists of a different ratio of macro nutrients than most. An app would certainly help people like myself who can be successful with weight loss when counting. I’d love to plug in my recipes, and calculate can if I afford 1/2 c of Fakes today or 1 cup? Sprinkled with 1 oz of “real” feta or 2 oz…having a tool to help with planned out decisions would be awesome. 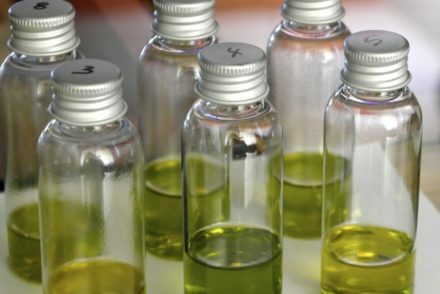 You say that part of the beauty of the Mediterranean diet is that there is no need for calorie counting or nutritional analysis., but I, like Zaferia would also be curious as to, if it is possible, have an idea of how many calories say, for example, for a over 60’s woman with a sedentary lifestyle. I really would appreciate an answer on this one please Elena. After being keto since 2016, I recently switched my family (husband, 4 yo girl, and 10 yo boy with high-functioning autism) to a more Mediterranean way of eating. My husband’s cholesterol (and especially triglycerides) was steadily climbing and my weight loss had stalled. My son’s symptoms haven’t improved over the years. So far, other than being hungry a lot, this way of eating has been delicious…for everyone but my daughter. She is having issues with just about every dish I make–she is pickier now than she’s ever been! Lentils, chickpeas, onions, mushrooms, everything is an issue except salad. Any suggestions on how to make this more appealing to her? Thanks for having such an amazing resource available! I love your site & have tried many recipes. I think the Mediterranean diet works well for our family (we’re already vegetarian) but I’m having a few struggles with it. One is I’m nursing an infant and I’m having trouble staying full. I’m also in the tricky position of coming home from work and needing to simultaneously cook and nurse the baby, so I’m looking for anything to make prep faster. I’m grateful for any advice! I am so happy to have found your site. I am Sicilian by blood and am trying to eat more like this in order to control my weight and blood sugar. I had a nutritionist put me on a Keto diet only to have my kidneys rebel. Turns out for me Ketosis leads to over worked kidneys and kidney stones. So I am shifting away from that and to a let protein heavy diet.